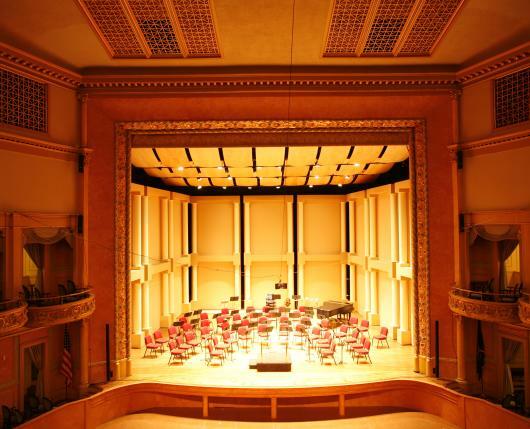 The historically significant, 1,200-seat Miller Symphony Hall (formerly Allentown Symphony Hall) is a premier performing arts facility in Allentown and host to Lehigh Valley's only professional orchestra, having celebrated its 65th anniversary season in 2015. The orchestra performs five concerts in the classical series, two pop concerts and one family concert, one youth festival, three classical music competitions, and six music education programs implemented in Symphony Hall and surrounding schools, reaching more than 14,000 children in the past two years. 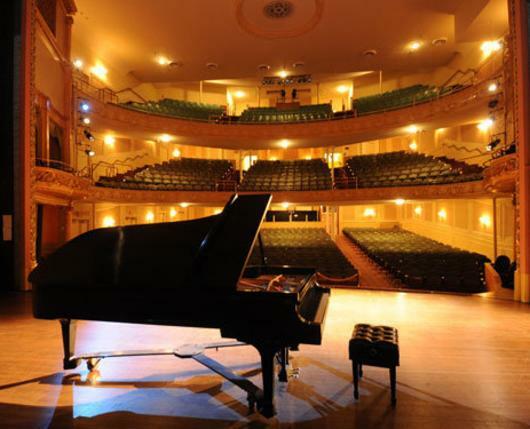 In addition to the classical series, Allentown Symphony Hall also hosts The Met: Live in HD and other family programming. Aside from the theatre, Symphony Hall houses the Rodale Community Room, a smaller performance/event space holding 150-190 seats and a recital room/meeting holding up to 50 seats. Click here for a full listing of events. Please allow plenty of extra time for traffic and parking. Downtown Allentown boasts more than 6,000 parking spaces near Miller Symphony Hall and its surrounding restaurants, shops, and office buildings. Keep in mind that there are many area restaurants that offer valet parking, and there are several lots and garages in the vicinity which offer free shuttle service to various locations and parking garages within downtown Allentown. City Parking decks are available within a block of Symphony Hall. Click here for more information. Now is the time to let go of any preconceptions you may have about a dress code at the Symphony. Simply stated, wear whatever makes you comfortable and most importantly, allow yourself to go with the music. Many people enjoy dressing up and making a special night of it, and you can, too. However, if it's your favorite pair of khakis and a comfortable sweater that allows you to feel the rhythms and follow the tunes, wear them! Plan to arrive at least 20 minutes before your scheduled performance to allow ample time to use the facilities, locate your seats, and settle in. All performances begin promptly as scheduled. 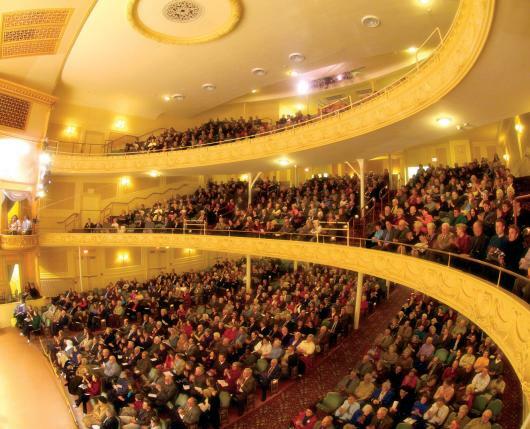 In consideration of the comfort and listening pleasure of the audience, patrons who arrive after the performance begins will be asked by the ushers to wait in the outer lobby and will be escorted into the auditorium at an appropriate time. No one will be permitted to enter the hall while the orchestra is performing. 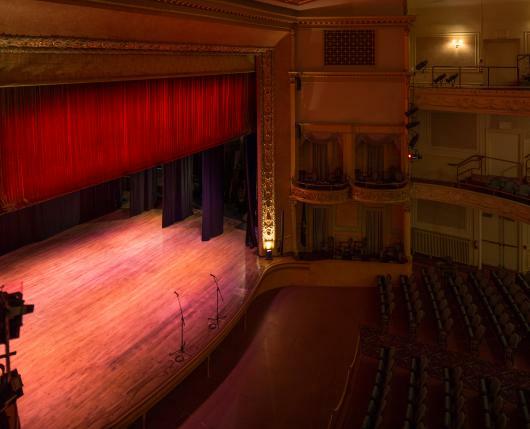 Photography and video or audio recording inside Miller Symphony Hall is prohibited without prior written consent. No food or beverages are permitted in the theater during ASO Classical & Pops Concerts.